Acupuncture & Chinese medicine for Dementia can be backed up by both literature and scientific evidence, which has more significance as dementia deaths are on the rise in Australia and the disease is now the nation’s second biggest killer after heart disease. Dementia is not one specific disease, but rather a collection of symptoms that are caused by disorders affecting the brain, which affects thinking, behaviour and the ability to perform everyday social and working life. There are many types of dementia. The most common are Alzheimer’s disease (AD), vascular dementia and Lewy body disease. The biggest risk factor for Alzheimer’s disease is old age. Dementia deaths are on the rise in Australia and the disease is now the nation’s second biggest killer, after heart disease, the Australian Bureau of Statistics (ABS) says. The ABS said 11,000 deaths were caused by dementia in 2013, an increase of 30 per cent in five years. The ABS report paints a picture of the shifts in mortality in Australia. Dementia is now more deadly than strokes and all types of cancer. The number of elderly Australians is projected to almost triple by 2050. By then, there is likely to be just under one million people in the nation suffering from some form of dementia. Carol Bennett, chief executive of Alzheimer’s Australia, said there were currently 342,000 Australians living with the condition. 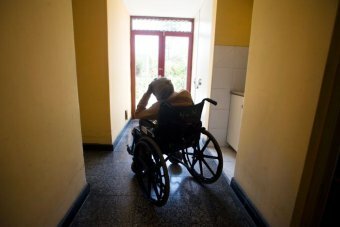 “We’ve gone from the third leading cause of death, to the second leading cause of death in a year, that’s a massive increase,” Ms Bennett said，”It is a very debilitating condition, and it’s certainly one that has an enormous cost and social impact on the community.” She said if more money is not spent on caring for an ageing population, dementia would place an enormous strain on the public health system. For over 2500 years, acupuncture has been used to treat a variety of ailments. The ancient Chinese practice theorizes that there are patterns of energy called Qi, that flow through the body and are essential for good health. 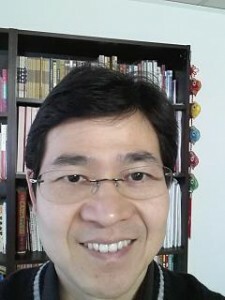 When Qi is interrupted, it is believed that disease can occur. Qualified acupuncturists can fix the disruption by inserting needles in specific locations to help restore the correct energy flow and treat the disease. A number of scientific studies have shown that acupuncture can have a positive effect on dementia and Alzheimer’s disease, by improving mood as well as cognitive skills. Researchers found that acupuncture could improve the lives of people with the disease by increasing verbal and motor skills and improving their mood and cognitive function. Acupuncture for dementia can have different forms, such as warm needling, electro-acupuncture, acupuncture with moxibustion, or acupuncture combined with herbal medicine. The effects of acupuncture for dementia are positive, especially for vascular dementia. In TCM philosophy, AD is assumed to be induced by kidney essence vacuity and toxin (turbid phlegm). The amnestic mild cognitive impairment in elderly population has been disclosed in a clinical investigation to correlate with kidney essence vacuity and turbid phlegm blocking upper orifices. The whole cognitive function may worsen because of the aggravation of kidney essence vacuity, deficiency of blood and Qi, phlegm and heat toxin and may eventually lead to multiple cognitive domains impairment, even dementia. Studies suggested that Chinese herbal medicine can be a safer and more effective treatment for vascular dementia, either alone or in conjunction with orthodox medicine. For example, Yokukansan (Yi Gan San 抑肝散) has become quite popular in Japan, especially for behavioral and psychiatric symptoms of dementia (BPSD) in patients with dementia. Clinical researchers in Japan are investigating the therapeutic mechanisms and positive outcomes in these patients. It can be concluded that TCM has a potential for complementary and alternative role in preventing and treating senile dementia. The scientific evidence is being continuously mined to back up the traditional medical wisdom. Melbourne acupuncturist & Chinese herbalist Dr. Rayman Wu is a fully qualified acupuncturist and Chinese herbal medicine practitioner. He has special interest and substantial experience in treating chronic conditions including dementia and Alzheimer disease, depression, anxiety, hypertension and diabetes. Call 03 8839 0748 or make online appointment to see how Chinese medicine can help.